Entering the NCAA Tournament, BetOnline had the national champion coming from the ACC as the +175 favorite among all the conferences. I thought that was the best bet with the conference having nine teams in and three legitimate contenders in North Carolina, Duke and Louisville. Yet only the Heels remain as the ACC is just 7-8 entering the Sweet 16 (and 2-13 ATS) and down to +425 on this prop. Now the favored conference is the Big 12 at +275 as it still has No. 1 Kansas, No. 3 Baylor and No. 4 West Virginia. Even though I picked UNC to win it all before the Dance, I'd probably take the Pac-12 at +325 as there could well be an Arizona-UCLA national title game. South Region game at 7:10 p.m. ET from Memphis on CBS. The winner gets either No. 3 UCLA or No. 2 Kentucky on Sunday. If Indiana strikes out on luring UCLA's Steve Alford as its next coach (see below), the second choice very well could be Butler's Chris Holtmann, who has been nearly as good in Indianapolis as Brad Stevens was. Some believe IU fired Tom Crean because his program wasn't as good as the little brother to the south (Indiana lost to Butler earlier this year). Butler entered the Big Dance off back-to-back losses but has had a relatively easy route to the Sweet 16 with a 76-64 win over No. 13 Winthrop and 74-65 against No. 12 Middle Tennessee, although the Blue Raiders were better than a 12th seed. The Bulldogs have made 16 of 34 3-pointers in the tournament (47 percent). Butler won't be intimidated here as it beat Villanova twice this year. The Bulldogs also have won their past two vs. the Heels. North Carolina has reached its sixth Sweet 16 in the past 10 years, tied for the most with Florida. The Heels were dominant in Round 1 against Texas Southern but blew a 17-point lead last weekend against a mediocre Arkansas team and then had to rally from five down with three minutes left. UNC closed on a 12-0 run. It won despite shooting just 38.1 percent from the field, the worst for the school in an NCAA Tournament victory since 1967. Butler is better than the Hogs, and now I'm thinking the ACC was entirely overrated. Under Roy Williams, North Carolina has made it to at least the Elite Eight the six previous times when it was seeded No. 1. Key trends: The Bulldogs are 8-1-1 against the spread in their past 10 vs. the ACC. The Heels are 5-2 ATS in their past seven NCAA Tournament games. I'm leaning: Butler covers, but UNC advances to face UCLA. South Region game at 9:40 p.m. ET from Memphis on CBS. Clearly the marquee matchup of the Sweet 16 and this game is at least a round early - I believe UCLA should have been a No. 2 seed as well, probably ahead of Louisville. The very top of the Pac-12 was ultra-strong this season and all three of those schools - Oregon and Arizona joining UCLA - are still standing. They could make up 75 percent of the Final Four by Sunday. BetOnline offers a prop on whether there are three teams from any conference in the Elite Eight at -130 with no at +100. UCLA is the all-time leader with 11 national championships while Kentucky is second with eight. They are tied with 17 Final Fours, two behind leader North Carolina. This game will get the highest TV ratings and take the most action at the books by far of the Sweet 16. 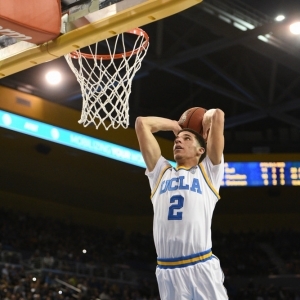 Unfortunately, it will also be the final college game for some stellar freshmen like UCLA's Lonzo Ball and T.J. Leaf or Kentucky's Malik Monk or De'Aaron Fox. Those guys are all declaring for the draft. Ball might go No. 1 overall. This could also be the UCLA finale for Alford, as he has yet to refute reports that his alma mater Indiana has offered him a huge contract to coach there. Just a year ago Alford was so much on the hot seat in Westwood that he gave a year of his contract back. I think it's 50-50 he does leave. The guy is a Hoosier through-and-through. These two played in Lexington on Dec. 3 when UCLA was ranked 11th and UK No. 1 and the Bruins ended Kentucky's 42-game home winning streak in a 97-92 victory. The freshmen listed above were all great. Believe it or not, it was UCLA's first-ever visit to Rupp Arena. Key trends: The Bruins are 10-2 ATS in their past 12 non-conference games. The Wildcats are 0-3-1 ATS in their past four out of conference. UCLA is 5-1 ATS in the past six meetings. I'm leaning: UCLA in another shootout. East Region game at 10 p.m. ET from the "World's Most Famous Arena" in New York City on TBS. The winner faces either No. 7 South Carolina or No. 3 Baylor on Sunday. I believe the NCAA Tournament selection committee did a lousy job in some cases. It was criminal that Wichita State was a No. 10 and Xavier a No. 11. Nearly every "bracketologist" projected Wisconsin as a No. 5 or 6, but the Badgers, who always peak come NCAA Tournament time, were given a No. 8 (how was Minnesota a No. 5 compared to Wisconsin?). They shouldn't have had to face No. 1 overall seed and defending national champion Villanova in the Round of 32, but it turned out not to matter as UW pulled the 65-62 upset. It closed the game on a 15-5 run and shot 53.1 percent from the field overall. Perhaps it's fitting that the game after Wisconsin assured that there would be no repeat national champion that it next faces the school that went last back-to-back in Florida (2006-07). I was very high on the Gators until they lost burly center John Egbunu (7.8 ppg, 6.6 rpg) to a season-ending injury in mid-February. UF was just 3-3 in the next six games but has had no trouble in beating No .13 East Tennessee State and No. 5 Virginia in the Big Dance. I do think people are overvaluing the Gators a bit because they held the Wahoos to an absurd 39 points. If you have seen Virginia play this season, that's an awful offensive team. It was just 1-for-15 against UF, which has allowed 0.79 point per possession in this tournament, the best defensive efficiency in the field. The Gators are an amazing 8-1 in their history in the Sweet 16, the best winning percentage among teams still alive in this tournament and second-best in history with a minimum of five games. Key trends: The Badgers are 7-1-1 ATS in their past nine as an NCAA Tournament dog. The Gators are 1-4 ATS in their past five following an ATS win. I'm leaning: Wisconsin advances to face Baylor.